Our award-winning slim-design brush with dispersed bristles grabs and captures even the shortest lashes to lengthen, extend and separate like no other. We use a unique botanical blend to promote growth by preventing breakage for instantly longer lashes with long-term lash care. Bought this as I usually buy Clinique lower lash mascara for both upper and Lower lashes . I actually found the mascara thick and clumpy which covered the thin brush making it hard to put on thinly ☹️☹️. Will have to stick to Clinique. I love this skinny brush mascara. 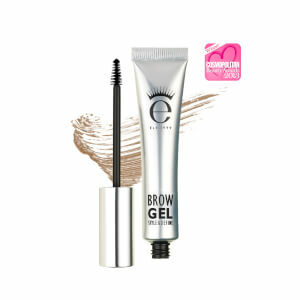 It is excellent for finer lashes and covers every single lash. I am very impressed with most of the Eyeko range but the skinny brush is my favourite. I’ve been using the skinny brush mascara for some years now and still think it’s the best I’ve ever used. Once it’s on, it stays (even when the tube is getting towards the end), never flakes or smudges and eventhough it’s possible to build it up, it doesn’t ever feel heavy at all. It’s one down side is that it can take longer to remove properly, but so long as I use an eye makeup remover it’s fine. Excellent product as always. Love the squeezy tub so you get all the product! I’ve used this mascara for a long time & tried a few others in the range but always come back to the skinny. It’s perfect if you’ve got short lashes & a hooded eye. I miss the extra freebie though...was a really nice touch especially as the mascara it’s self isn’t that cheap! Bring the mini freebies back please!!!! Pacakaging.....mascara use to arrive wrapped in black tissue with a fake wax seal in a small box, suitable sizing for the product. But now it’s sent in a massive box with way too much horrid brown packaging! I love the eyeko products but since ownership of the company has changed its lost its quirky personal side, which to me is part of the eyeko branding. Without a doubt this is my favourite mascara. I have been using this mascara for years. I have recommended it to friends and I have bought it as a gift for my mum. I find the skinny brush allows my eyelashes to separate property and it is truly waterproof. I wear it running and swimming and it doesn’t budge. I’ve also found that with extended use, my eyelashes appear longer. I don’t think I’ll ever use a different mascara. 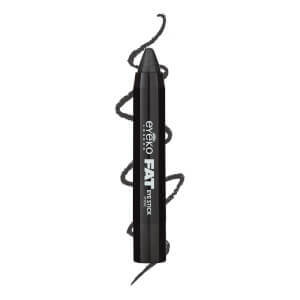 I have tried most of the Eyeko products and have to say I love the Skinny. The brush really helps you get to those shorter lashes and definately has the long and tall feel. It lasts all day yet comes off easy with cleanser. I have been asked if I'm wearing false lashes. I have repurchased lots. Fab products. Many years ago I had this mascara (in different coloured packaging) and absolutely loved it. It was only recently that I rediscovered the brand. 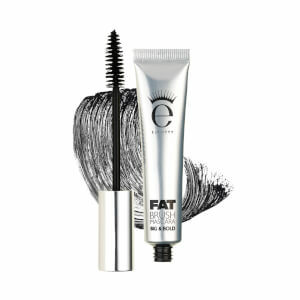 I eagerly awaited its arrival and it went on just as I remembered it, with good results for long, separated lashes (mine are, by now, considerably sparser than they were!). However, what was disappointing was that I don't recall ever having problems with it smudging. After just a couple of hours I was horrified to discover that I had not just panda eyes but panda cheeks too with flecks of mascara almost down to the tip of my nose. Now, in fairness, the weather has been extremely hot so that may have affected it. I will see how it lasts when it gets cooler. Hopefully it will be more as I remember as other than that I love the effect this has. There are few mascaras out there that work as well as this. It does everything that it says...really extends my lashes. It lasts all day without a smudge. I have the blue which I love to have the option to use a different color. The only reason I didn't give 5 starts is that I have another eyeko mascara that I like even more.